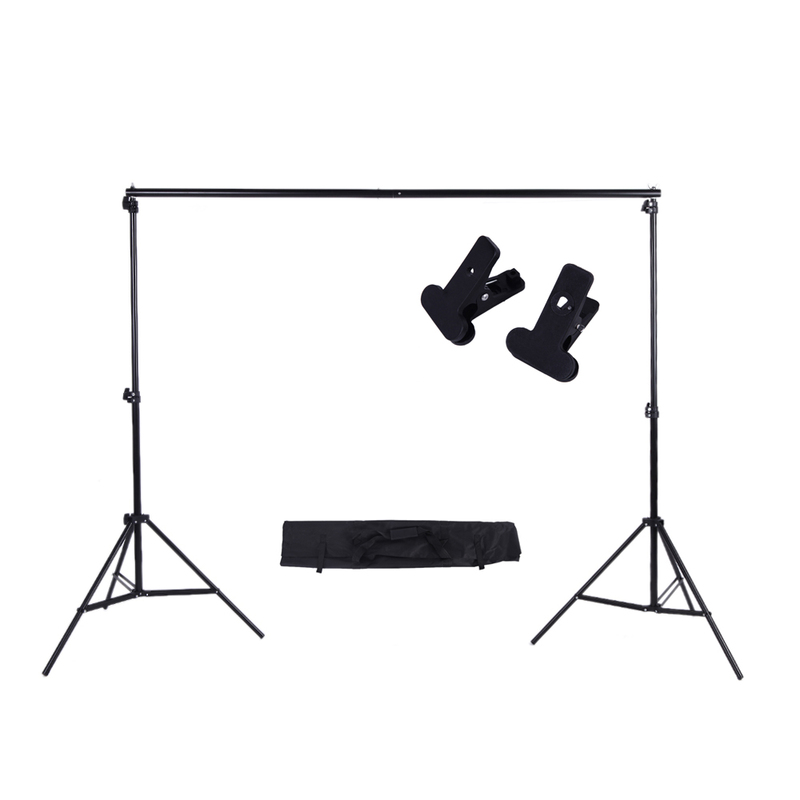 The stand and bag set comes complete with two stands, 1pcs 3m crossbar, two clamps and is all neatly held in a heavy duty carry bag. 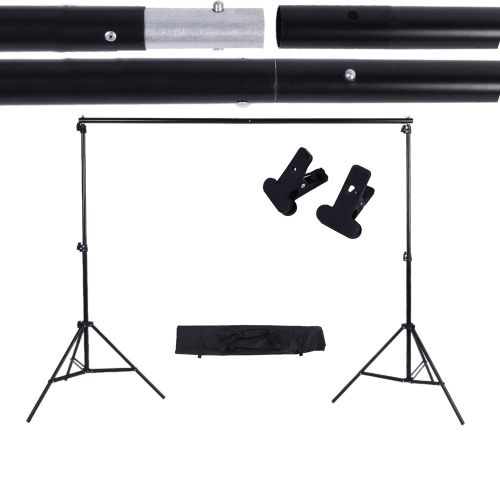 This stand is constructed from aluminum alloy and has a three stage adjustable shaft and rubber feet, giving it exceptional strength for heavy duty work. 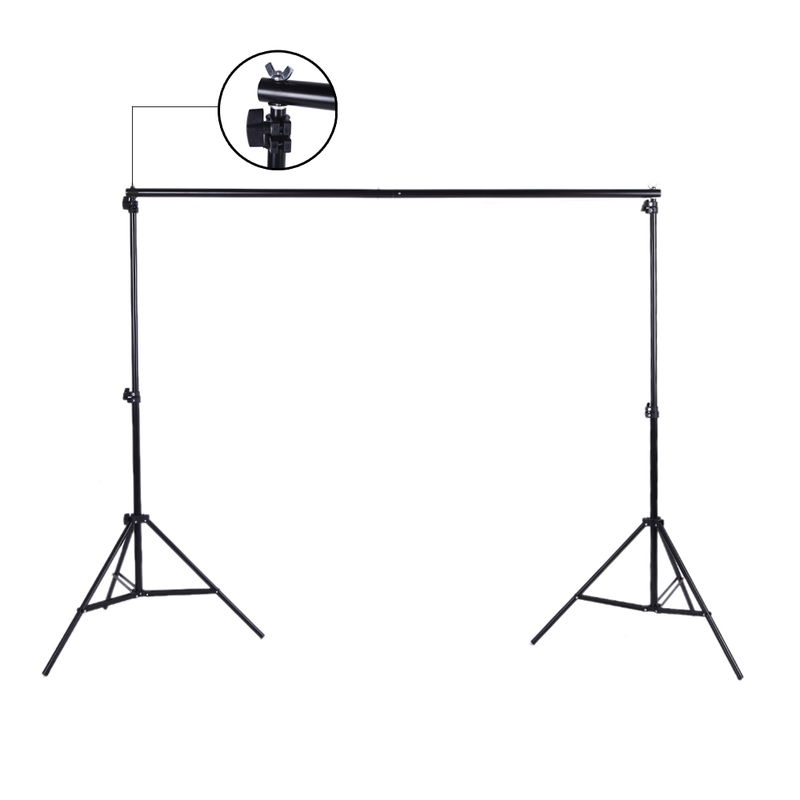 This stand has a maximum height of 200cm. 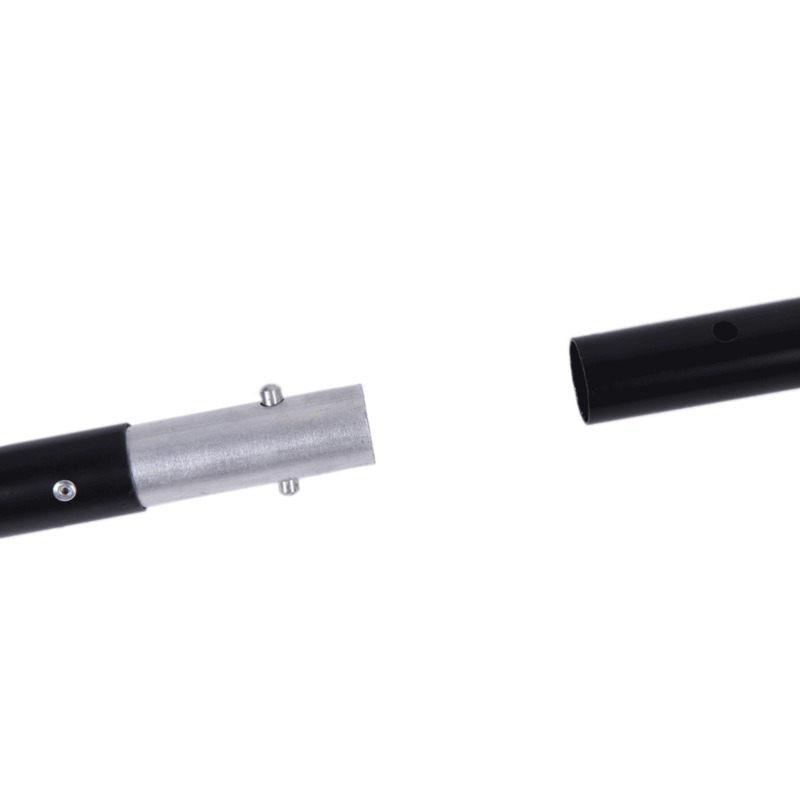 Two-section separate telescopic crossbars can adjust width from 1.5m to 3m / 4.9ft to 9.8ft easily. 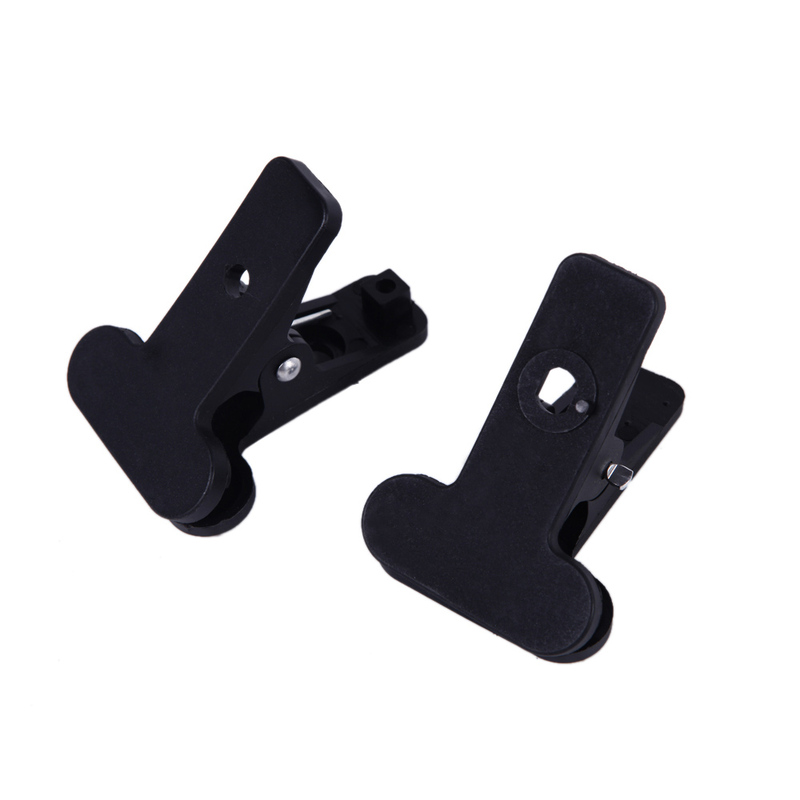 With Moveable Clamp Teeth to Hold Backdrop or Other Items tightly. 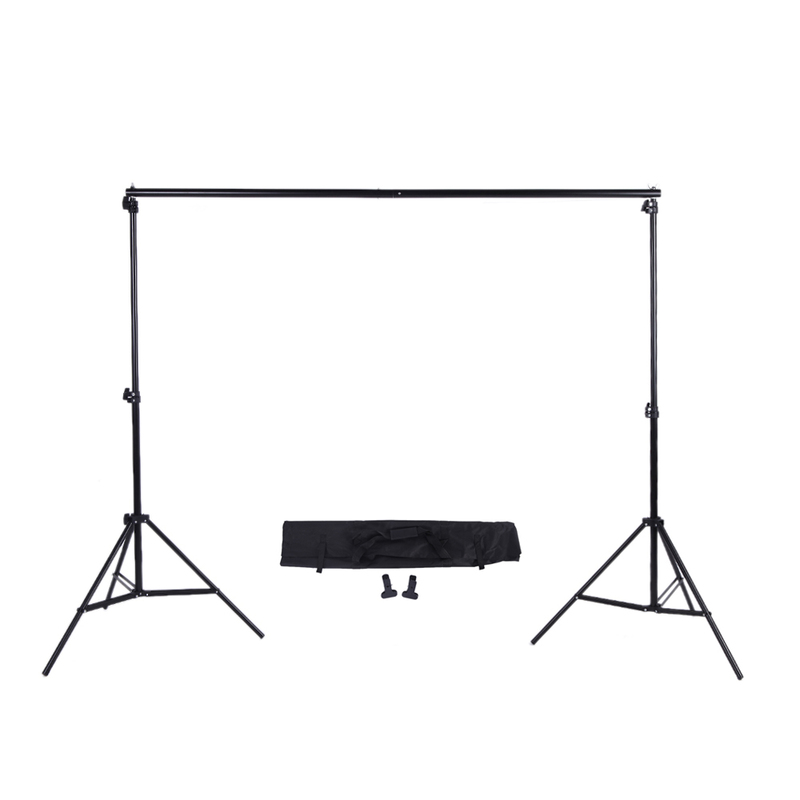 Set up in minutes and stored in portable carrying case. 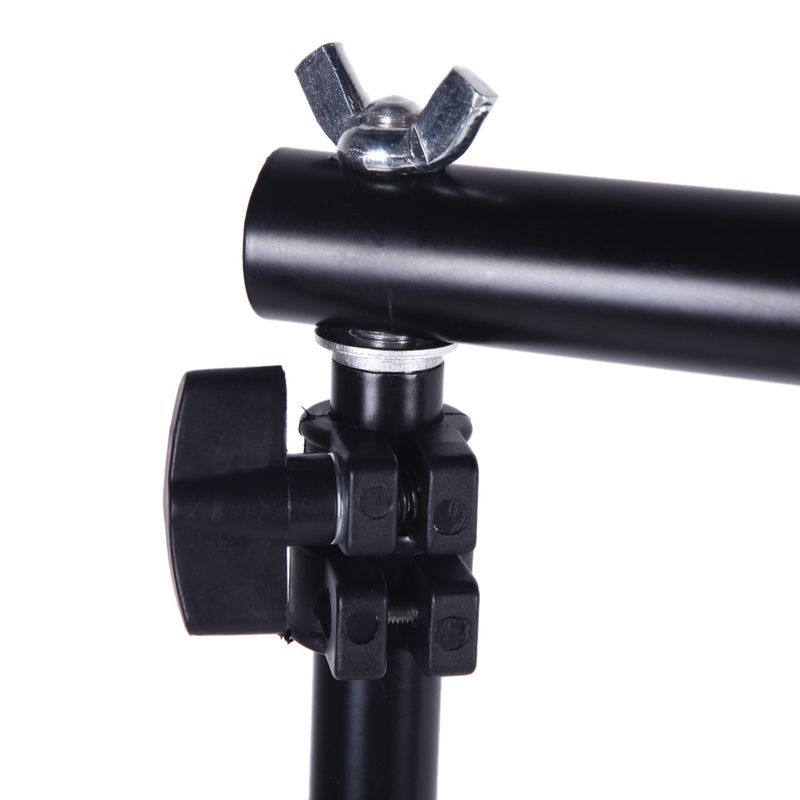 This stand can use as a light stand independently. 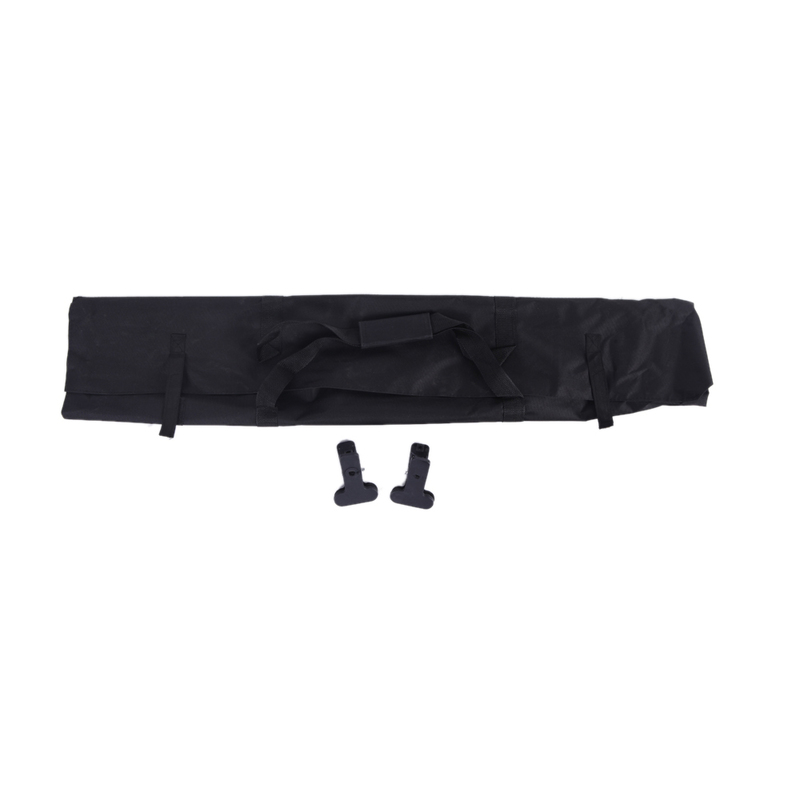 The carrying case built-in small pocket for instruments.